Carbon Monoxide: The Invisible Killer - The National Safety Council provides an overview of carbon monoxide safety, including the basics of where it comes from, who is at risk and safety precautions you and your family can take to prevent home poisoning. Carbon Monoxide Safety Outreach Materials - The U.S. Fire Administration has provided the public with educational materials on carbon monoxide. Learn about the symptoms of carbon monoxide poisoning and more. Carbon Monoxide Safety Tips - Safe Kids Worldwide offers brief factsheet for kids to learn about carbon monxide safety in their home. It also offers safety tips on how to store and handle gasoline! Protect Your Family from Carbon Monoxide Poisoning - The Consumer Product Safety Commission issued an overview of how you can protect you and your family from this invisible killer. Carbon Monoxide Safety Advice - This entire website is dedicated to the awareness and safety of carbon monoxide. Explore the whole site in addition to this safety page. Carbon Monoxide Safety Association - This association provides the public with the knowledge they will need to stay safe from this silent killer. NIOSH: Carbon Monoxide - The National Institute for Occupational Safety and Health has teamed up with the CDC to promote safety in the workplace and educate businesses on CO safety. OSHA: What is Carbon Monoxide (PDF)- Ohio State University provides a PDF fact sheet to give you all the information you need to know about carbon monoxide. Carbon Monoxide Poisoning - Iowa State University provides readers with the detection, response, and dangers of carbon monoxide. Healthy Indoor Air: Carbon Monoxide - The University of Illinois Extension provides readers with an overview of the symptoms and who's at risk for carbon monoxide poisoning. Do You Know the Signs of Carbon Monoxide Poisoning? - The Children's Hospital of Philadelphia gives readers the symptoms of CO poisoning. NFPA Home Safety Tip Sheet - The National Fire Protection Association provides readers with a list of home safety tips, covering fire safety, pool safety, grilling safety and information on carbon monoxide poisoning. Home Fires and Austin Homes for Sale - Ready.gov gives homeowners all the information they need to know to prevent and stay safe during fires. 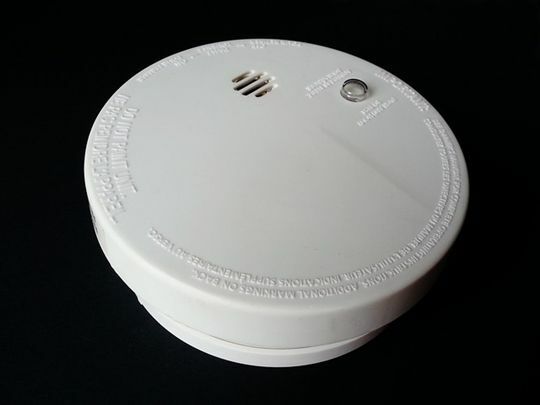 Smoke and Carbon Monoxide Detectors Save Lives - Learn how installing smoke and carbon monoxide detectors can save the lives of you and your loved ones. Cal Fire: Carbon Monoxide - The State of California provides information on fire safety and how to avoid carbon monoxide poisoning. Watch the video at the bottom! Carbon Monoxide: A Breath of Death - The National Park Services gives information on why you and your family should be concerned about CO.
Fire Safety Equipment - The Redcross provides a list of fire safety equipment that every homeowner should have in their home. ...You bet carbon monoxide detectors are on that list! Fire and Carbon Monoxide Risks During Cold Weather - If your winter home checklist doesn't include checking your smoke and CO detectors, you need to think again. Be prepared when cold weather hits to stay safe from carbon monoxide poisoning. Carbon Monoxide Alarms - Carbon monoxide alarms save lives! Read about why CO is so dangerous and how you can protect your family, starting with a CO detector. Carbon Monoxide and Fire Safety - The NFPA has given homeowners easy to read safety sheets to prevent fires and CO poisoning in homes. ESFI's Carbon Monoxide Alarm Safety Tips - The Electrical Safety Foundation International provides a checklist and maintenance record to keep your fire detectors and CO alarms in the best working order. Why Use Smoke Alarms? - Vermont.gov gives readers and overview on why we should have not only smoke alarms, but carbon monoxide detectors in our homes. Carbon Monoxide Detector Requirements - The National Conference of Sate Legislatures provides all the legal information on CO detectors. Home Safety Checklist - A complete room by room checklist for homeowners to keep their home and family safe from dangers and accidents. Keeping Kids Safe from Fires - The USFA gives readers all the information they need to keep children safe from fire and also teaches kids fire safety prevention. Sparky - Sparky's Firehouse is an educational playground for children learning about fire safety and fire prevention. It also teaches kids about CO dangers! Teaching Children to Respect Fire - This educational tool from the New York State Department of Health provides parents with information to teach their children on how to respect fire and everyday fire safety behaviors. Fire Safety for Children in the Home - Readers will find a simple bulleted list of fire safety tips and prevention tactics for parents to keep children safe from fire. Safety Checklist for Homeowners (PDF) - This printable PDF file provides homeowners with a fantastic overview of safety concerns, including fire safety, cooking safety, carbon monoxide safety and so much more! Carbon Monoxide Alarm FAQs - This question and answer guide to carbon monoxide will have you and your family educated on the dangers of this invisible killer, as well as knowledgeable on the safety precautions. Carbon Monoxide Surveillance from the CDC - Are you curious as to just how many people are hospitalized or die from CO poisoning? The Center for Disease Control provides readers with the eye opening statistics that will make you want to keep your loved ones safe from this silent killer. Why You Need a CO Detector - If you don't already have a carbon monoxide detector in your home, this guide from the state of Texas will have you buying one. How to Choose a Carbon Monoxide Detector - This Old House gives homeowners an inside look at what they should be shopping for when choosing a CO alarm to protect their family. Fire and Carbon Monoxide Prevention and Safety - The city of Portland Oregon provides answers to frequently asked questions about fire safety and the dangers of carbon monoxide. How to Carbon Monoxide Detectors Work? - If you are curious as to just how CO detectors work, read the scientific answer as to how these alarms detect carbon monoxide and save our lives.